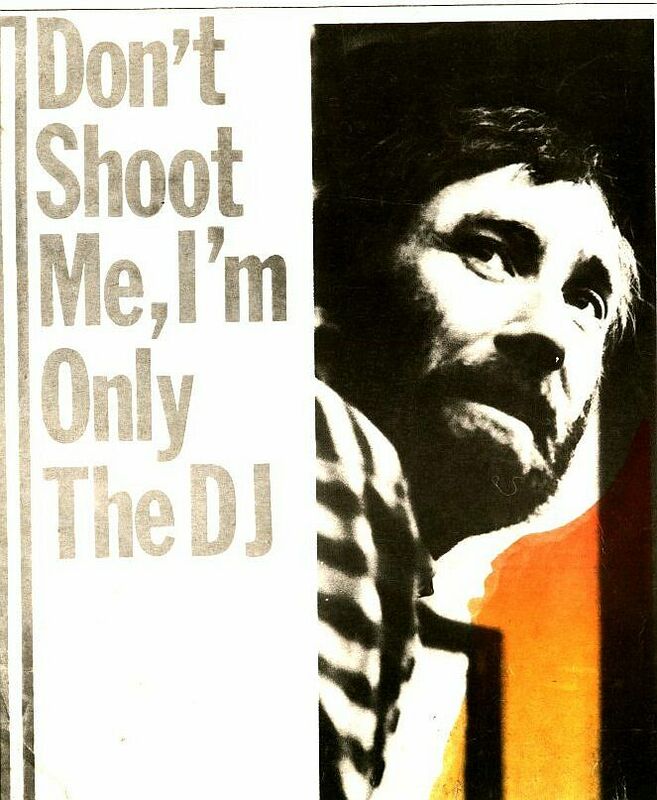 Declan Meehan is one of the most recognisable voices on Irish radio. He's had a widely varied career, from the Dublin pirate pioneers of the early 70s, to RTÉ's Radio 2, through the superpirates of the 80s, legal radio in London and now on legal local radio in Co Wicklow. 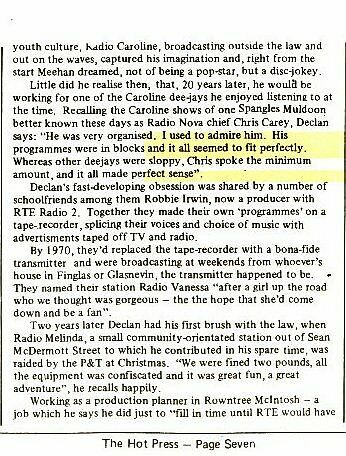 Declan can be heard every morning on East Coast FM, but he is best remembered for presenting a cool and calm front on the morning of the infamous raid on Radio Nova in May 1983. He had joined Nova from Sunshine Radio, and his Breakfast Programme on Nova was a must-listen. 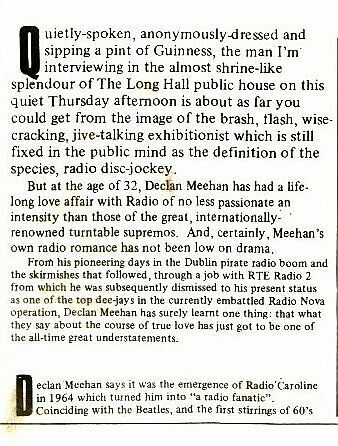 Below is a Hot Press interview with Declan during his time with Radio Nova...click on any section to enlarge.